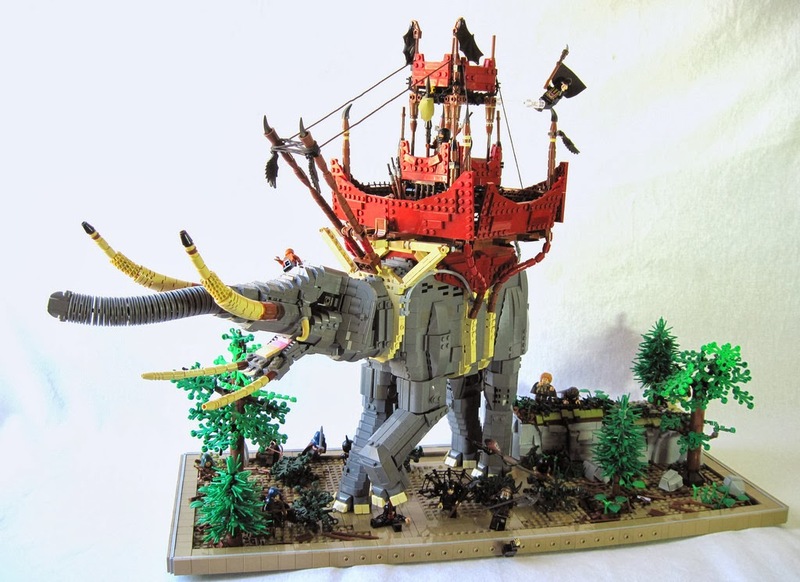 LEGO Fan and Flickr member Elliot Feldman (Simply Complex Simplicity) shared the biggest Oliphaunt MOC on the internet. The shaping of the oliphaunts body, legs and head is really amazing. Elliot cleverly used black eagle and dragon wings as flags. Terrain details like pine-trees and rocks are also looking good. Unlike any other olihaunt creation this one has an interior of its own full of mechanical control units and even a mini-frigde. Check out Elliot's MOCpages for more details. 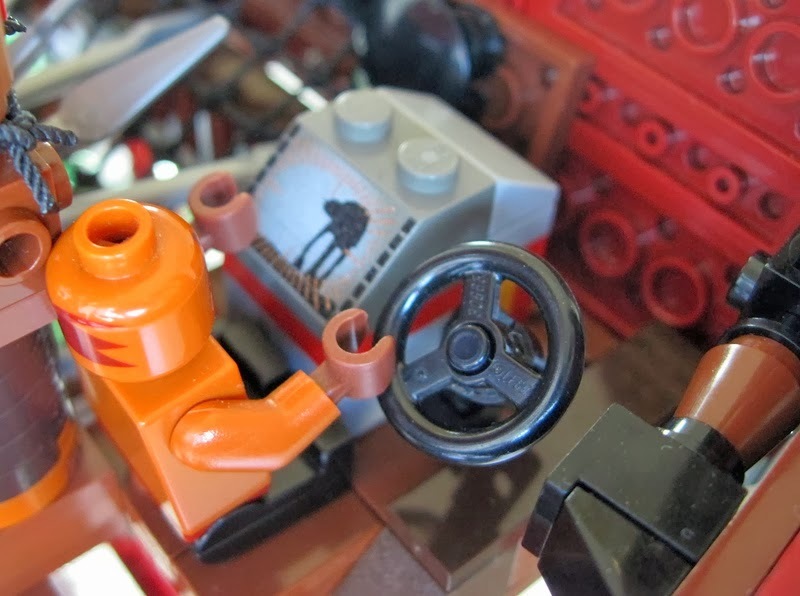 This oliphaunt is controlled with a driving wheel and AT-AT control unit!! !